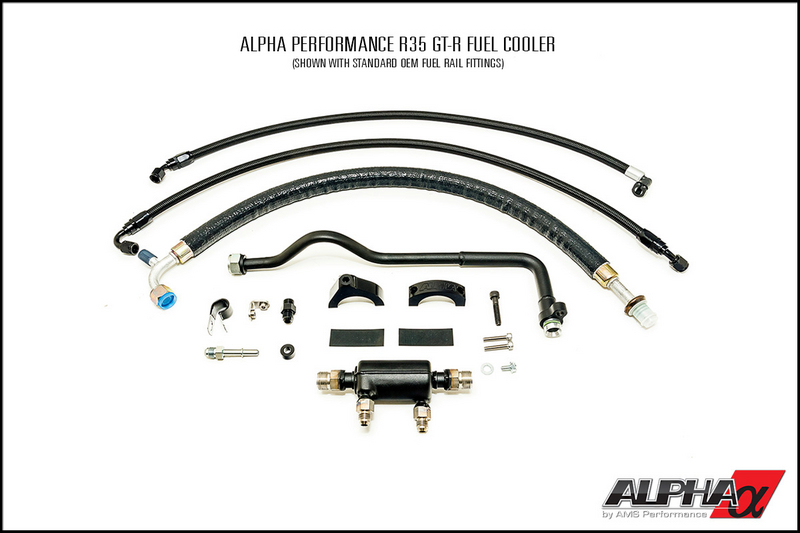 Keeping your fuel cool is important. 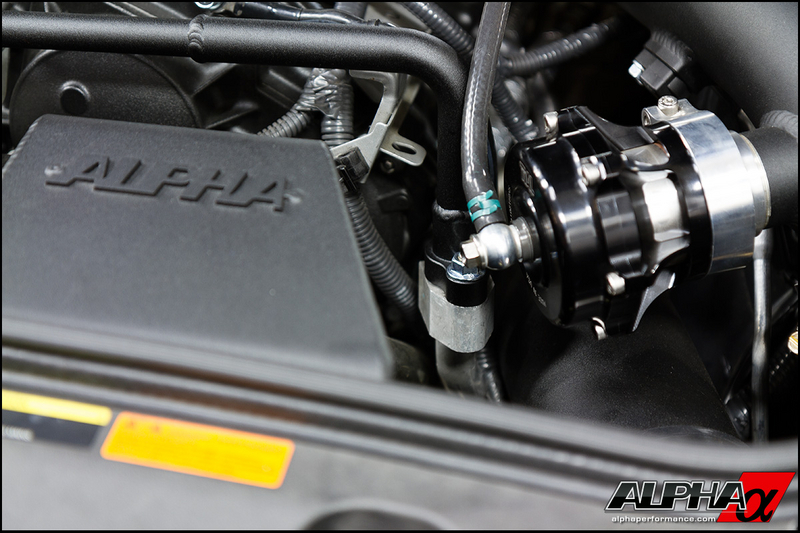 If you run your GT-R in warm climates, run track events or own a GT-R with power upgrades, the Alpha Performance R35 GT-R Fuel Cooler is a must-have safety feature that will significantly reduce the chance of damaging your fuel pumps or worse - your engine! 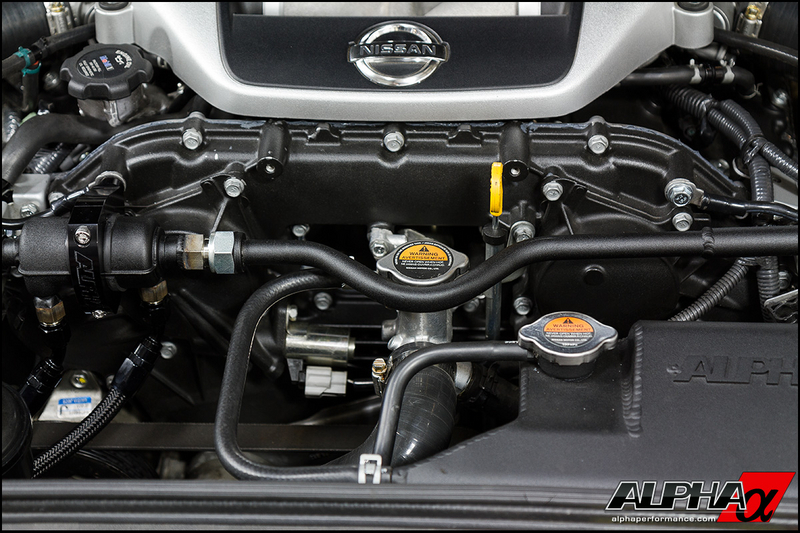 It uses your AC system to cool the fuel temperature. 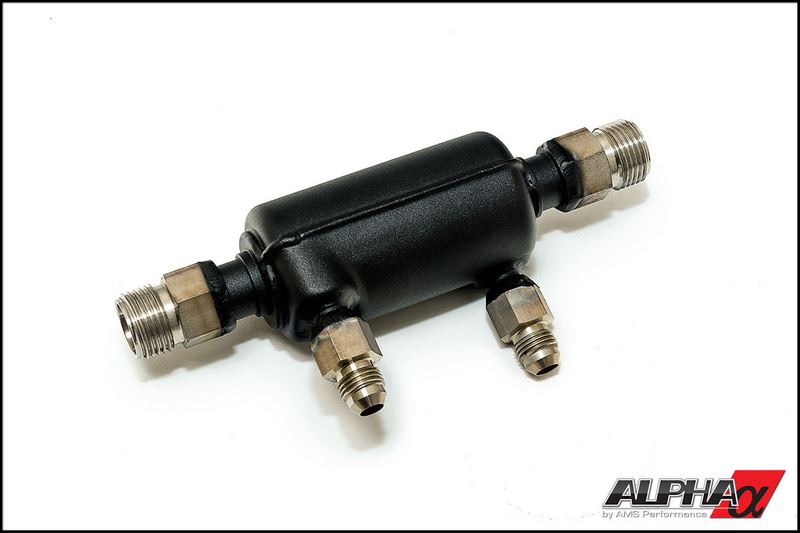 It’s simple to install and use - recirculating fuel from the fuel tank to the cooler and back again so that your fuel supply remains cool. 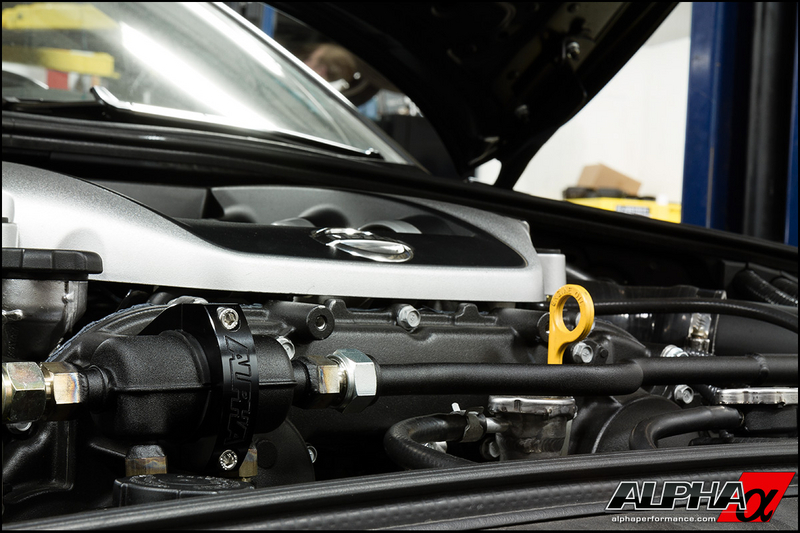 Outside of a quality tune, it’s quite possibly one of the best engine safety component you can install to keep your modified or non-modified GT-R running safely throughout some of the hottest weather conditions. In our testing, just flowing some of the less efficient larger pumps even without the engine running was enough to get the fuel very warm! The fuel tank also sits above the heat-soaked GR6 transmission and exhaust. Couple this together with hot weather or a high performance aftermarket fuel system, temps can get hot enough to boil fuel at the fuel pickup! In this case, the lower pressure at the pump inlet, combined with the hot fuel will lower the boiling point of fuel and cavitation can occur. 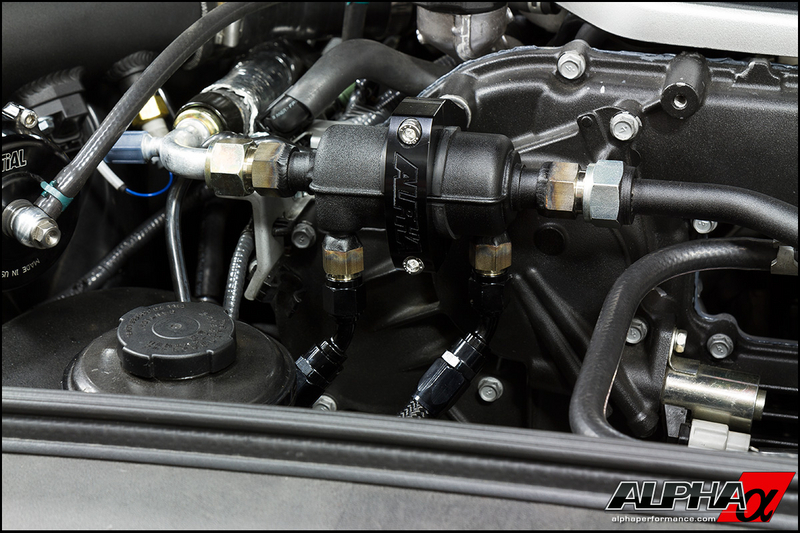 When fuel boils, the pumps stop flowing - cutting off fuel supply to the engine. 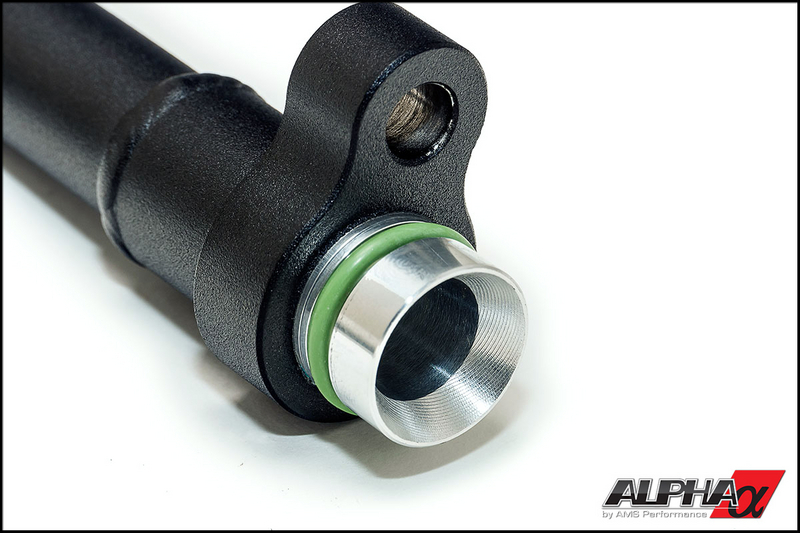 The cavitation at the pump inlet is also very damaging - it can ruin your expensive upgraded fuel pumps. 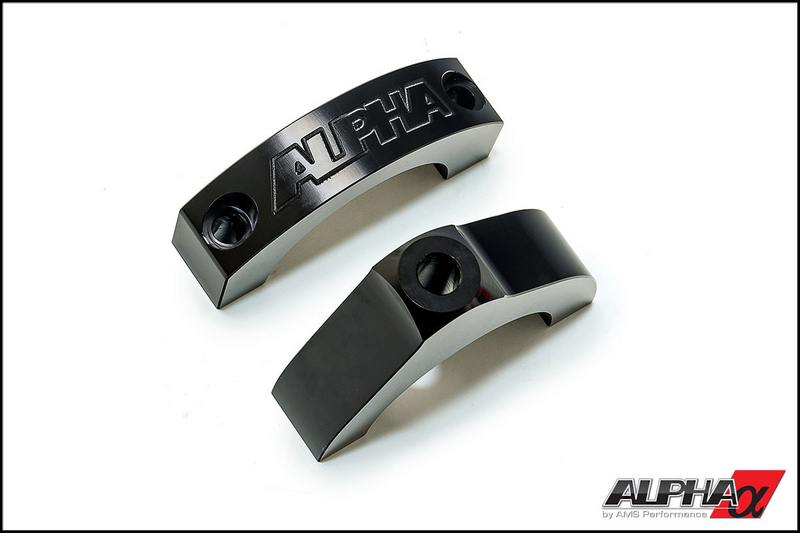 We offer two versions that will fit either an OEM standard fuel rail or our Alpha Performance GT-R Fuel Rail. 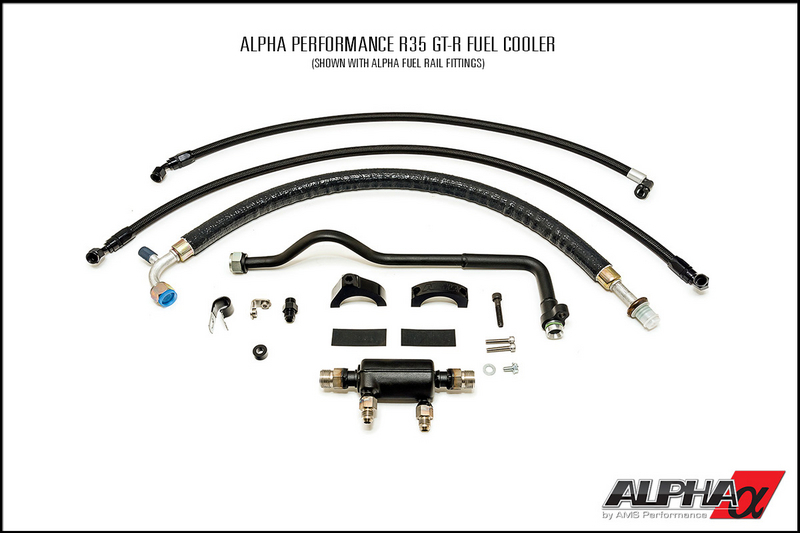 Choose the version that fits your GT-R's setup in the dropdown selection when purchasing.